Well, you probably knew it was coming after last week's WFMW, but something simple that works for me is making extra cookies. I *always* make a mistake when decorating cookies. Even if only I can see it...there's always "the ugly one." Knowing I have cushion (and not just on my hips) takes the pressure off and I actually think I make fewer mistakes because of it. 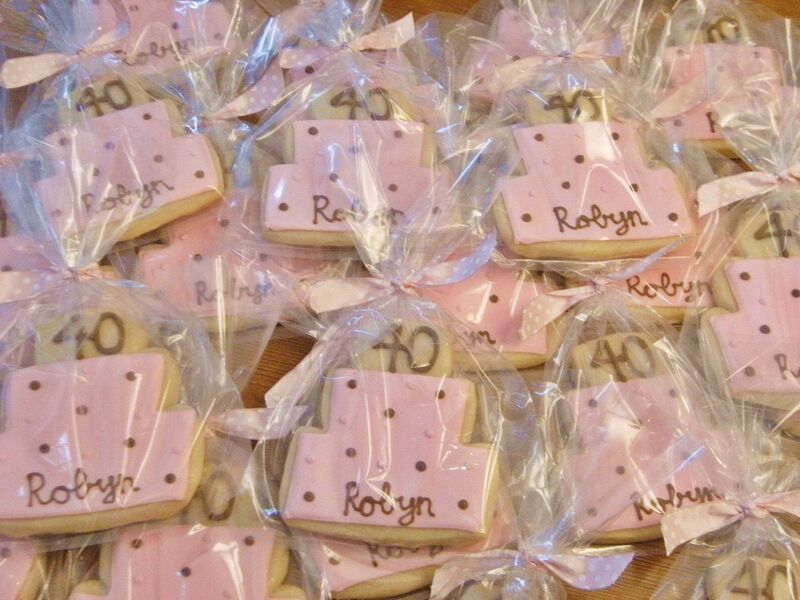 Example...I made these 40th birthday cookies a few weeks ago. Next to last cookie, I spelled "Robyn" as "Roybn." ROYbn. There is no recovery from that. I had extras, so....I ate it. What is working for you this week? 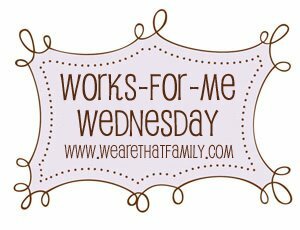 I'll be linking to Works For Me Wednesday! PS....any grill queens out there? I'm honored to be guest judging On The Grill at Our Homeschool Home starting tomorrow (Thursday). Link up your recipes and pictures. You'll get bragging rights, a darling WINNER button for your blog and a FANTASTIC prize! Get your GRILL on!!! I'm all for extra cookies! How convenient that the mistake got eaten before the evidence could be viewed!!!! I learned this lesson the hard way, messed up on one of my last cookies and didn't have any extras. Made for a really late night. I'll never make that mistake again! Thanks for sharing your hints!! My problem is that no matter how many extra cookies I make, I always end up with too many ugly cookies. Maybe I'm a perfectionist. I always bake extra cookies, too. They can live in the freezer if I don't need them. That is such a great idea, which I have learned the hard way...making just the right amount, with no time to spare, is very stressful! Those are beautiful cookies, as always! LOL at Roybn! Extra cookies are a good thing. Love the 40th birthday cake cookies. They turned out great. Love & blessings from NC! I'm laughing! Every time I make cookies....when I'm near completion...the hubby comes in and says..."Okay...Where's the bad one???" I'm happy to give him my mistakes!! :) Love those 40th BD cookies, by the way! if only that could be our solution to all life's foibles...simply eat the evidence! This is a nice giveaway for a birthday or baby showers! I'm fan of extra cookies. Great idea! Cookies look beautiful! Wow! Georgeous cookies! I usually freeze cookie dough, but I don't usually make extra cookies. Those are so cute....Carmen said they were a hit!!! I wish you could ship your "mistakes" to Flower Mound. Great advice, as always! I find that my hubby is always happy to eat the ugly cookies (and the scraps from leveling cakes, too). I am lucky to have great neighbors who love taste testing for me:) The cookies are super cute!